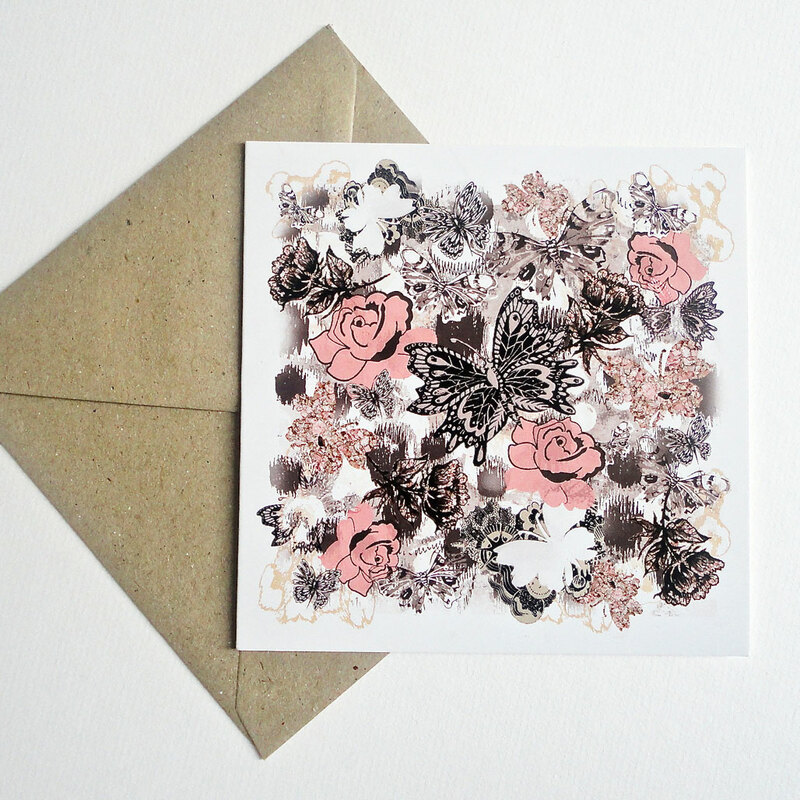 This ‘Woodland Butterfly’ card portrays a scene of nature with a collection of patterned and textured butterflies in earthy, woody tones. 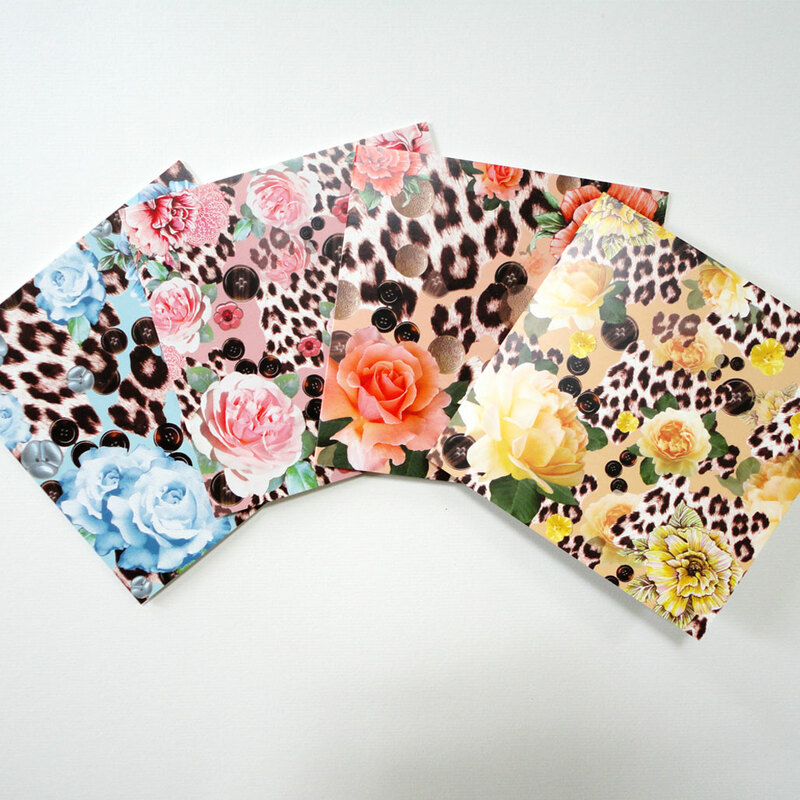 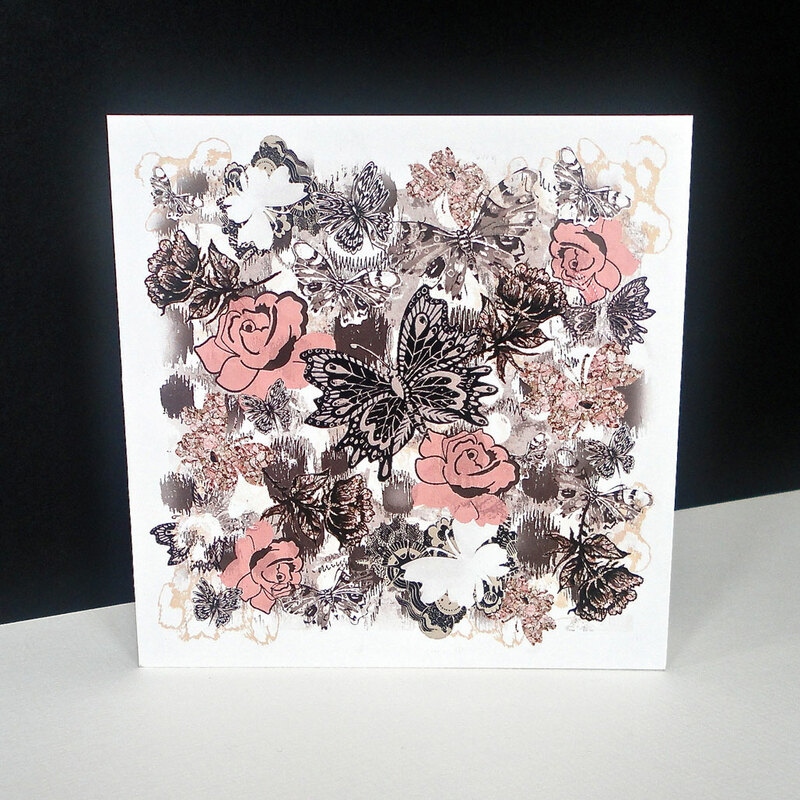 Behind is a mixed media of animal skin print in creams and browns, with hand-drawn and dusty coral roses. 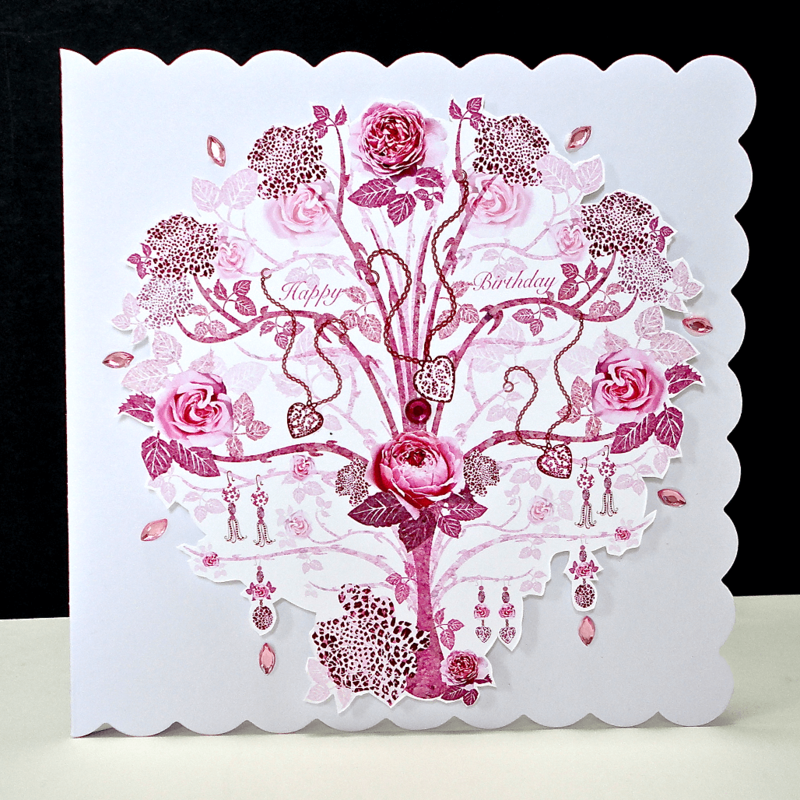 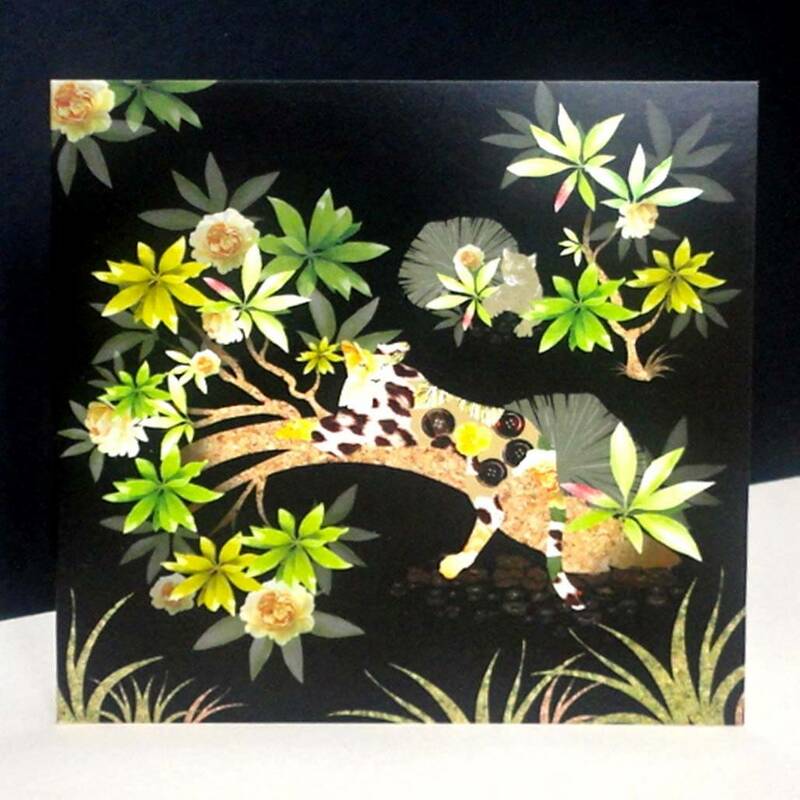 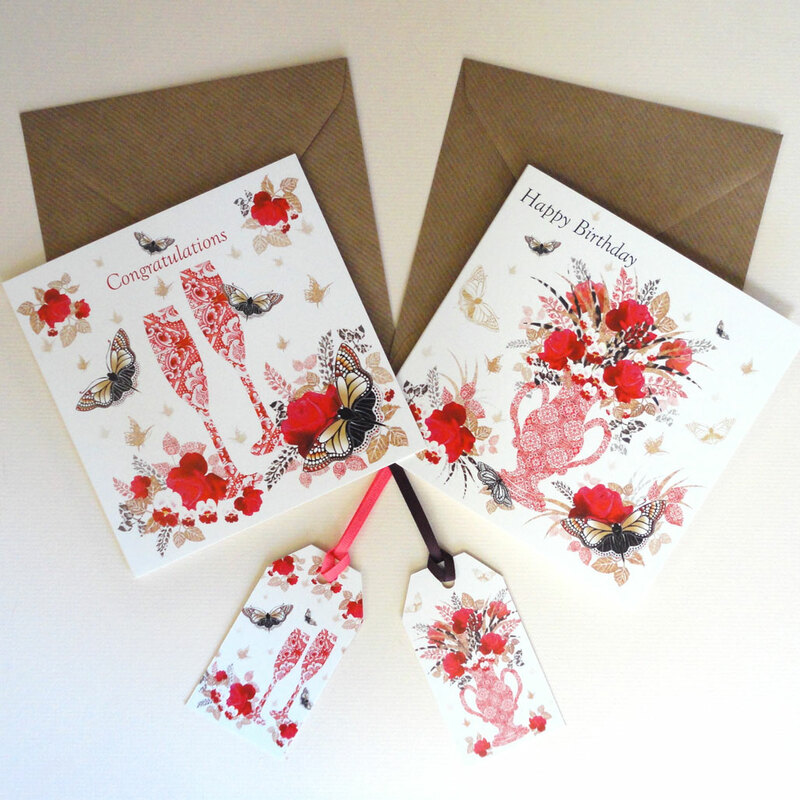 This card is sold both as a single and also in a pack with the similar colour themed ‘Earth Display’ – a collection of four different designs in both greetings cards and gift tags.